1.5 in. x 15 ft. 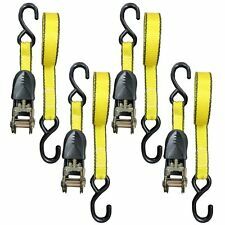 Premium Handle Ratchet - Tie Down Strap, Kayak, Marine, ATV! Tie Down Straps 2 in. x 27 ft. 10000 LBS. 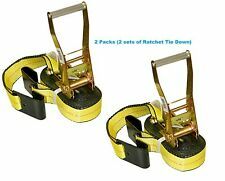 Flat-Hook, Heavy Duty Ratchet 4-Pack! 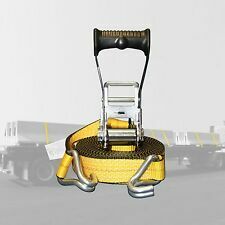 Recovery Strap 3" x 20' 22,500 lbs, Tie Strap, tow strap, Yellow Strap! Tie Down Strap-1 in. x 15 ft. 1500 lbs. 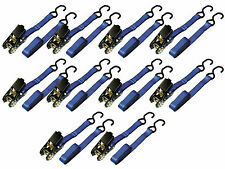 Heavy Duty Hook Premium Blue Webbing! Tie Down Strap-1 in. x 15 ft. 1800 lbs. DJ-Hook Motorcycle, Kayak, Boat, ATV! 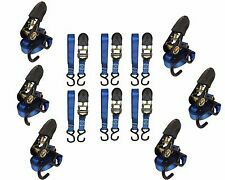 4 Piece Bungee Cord Assortment Camping, Hiking, Tents, Outdoors 2 - 30" 2 - 36"
1 in. 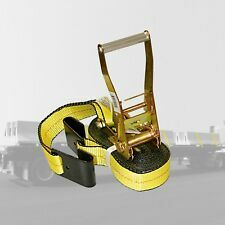 x 15 ft. Ratchet Tie Down Rubber Handle Motorcycle Strap 1500 lbs. Tie Down Strap-1 in. x 15 ft. 1500 lbs. Hook Premium Blue Webbing! This page was last updated: Apr-24 18:20. Number of bids and bid amounts may be slightly out of date. See each listing for international shipping options and costs.